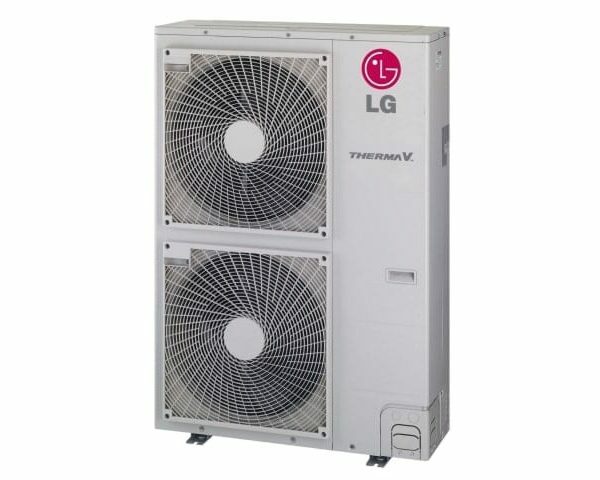 The LG Therma V 16KW 1PH Monobloc ATW Heat Pump LG-HM161M.U32 is designed for energy efficiency, comfort & ease of installation. LG’s inverter technology ensures the highest seasonal energy efficiency in combination with optimally designed components such as the water pump, heat exchanger and fan motor. Moreover, the pressure control technology provides stable heating capacity at low temperature and reaches target performance without difficulties, ensuring you get heating when it’s required most. Ease and speed of installation is obtained through factory fitted components such as A-class circulation pump, plate heat exchanger, expansion vessel & electric back-up heater. LG Therma V absorbs natural energy from the outside air, thus consuming less energy compared to conventional heating systems. LG Therma V has an integrated back-up system, so you will not be left without heating. 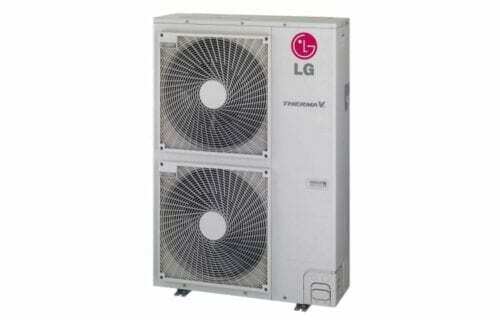 LG Therma-V heat pumps are used all across Europe and the technology has been used for over 50 years globally. LG Therma V is eligible for government incentives. Micro-generation Certification Scheme (MCS) approved and qualifies for Renewable Heat Incentive Scheme (RHI). With low temp. monobloc & split model, heating and cooling can be done. The LG Therma V 16KW 1PH Monobloc ATW Heat Pump LG-HM161M.U32 can be connected to existing boiler system to optimize energy efficiency and heating capacity for renovation house. Also THERMA V High Temperature can replace completely exiting boiler by providing 80°C hot water. LG Corporation, formerly Lucky-Goldstar is a South Korean multinational conglomerate corporation. It is the fourth-largest chaebol in South Korea. It is headquartered in the LG Twin Towers building in Yeouido-dong, Yeongdeungpo-gu, Seoul. LG makes electronics,chemicals, and telecom products and operates subsidiaries such as LG Electronics, Zenith, LG Display, LG Uplus and LG Chem in over 80 countries. Join our ZERO Home Bills Community. The Best Air Source Heat Pumps from the BEST Heat Pump Brands at the BEST Retail Prices available in your market on ZEROhomebills.com by Solaranna. LG Corporation, formerly Lucky-Goldstar is a South Korean multinational conglomerate corporation. It is the fourth-largest chaebol in South Korea. It is headquartered in the LG Twin Towers building in Yeouido-dong, Yeongdeungpo-gu, Seoul. LG makes electronics,chemicals, and telecom products and operates subsidiaries such as LG Electronics, Zenith, LG Display, LG Uplus and LG Chem in over 80 countries. Join our ZERO Home Bills Community. BEST Products from the BEST Brands at the BEST Prices for ZERO Home Bills on ZEROhomebills.com by Solaranna.